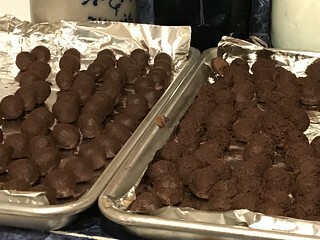 Almond Truffles and Raspberry Truffles. Both will be dipped in chocolate before our Christmas Open House. The centers freeze beautifully, in the meantime.